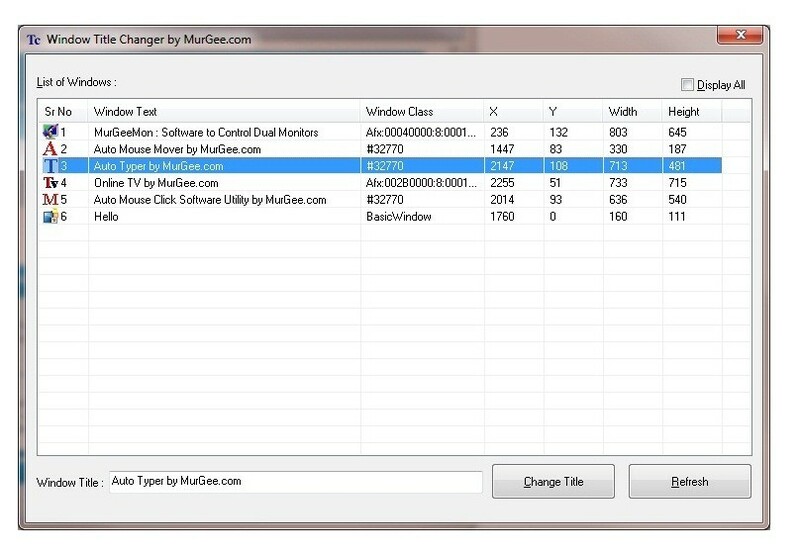 Change the title of a window with free Window Title Changer Software. Download and run the Window Title Changer and change title of any application's window within seconds. Icon of the corresponding application is also displayed along with the title of the Window allowing you to select an application's window recognizable by small icon of the application and window text. Once the Title text of a Window is changed, it will be reverted to it's original text or to any other text set by the corresponding application. The Window Title Changer does not requires installation and can be run even on a windows computer where you do not have administrative rights to install a software. Download the free software utility and change text of any application whenever you want.